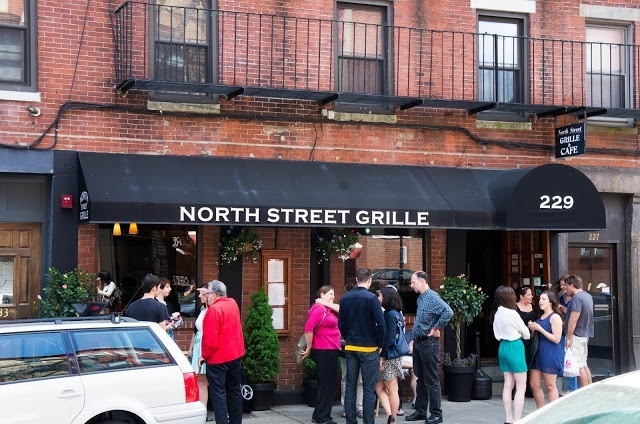 As Boston’s oldest residential community and the go-to destination for the city’s most infamous Italian dishes, the North End is a busy place. If you’ve ever visited, you will know what I’m talking about—especially during the summer months. I’ve curated a list of some of my favorite places in the North End that are more or less “off the beaten path”. Take a look below and support some of these incredible businesses! Easily some of the best sandwiches in all of Boston. The Italian sub is a must—fresh bread, veggies, thinly sliced meat and cheese, and topped with a drizzle of balsamic glaze. It’s unbelievable! The market has plenty of great little snacks as well, if you aren’t looking for a full meal. All in all, Monica’s is a must! 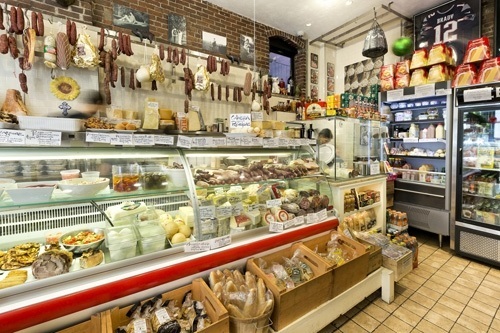 Directly next door to Monica’s is Bova’s Bakery, the no-fuss pastry shop of the North End. If you are looking to get a delicious post-meal cannoli but don’t want to wait in line at Modern or Mike’s, this is your place. There are plenty of fantastic desserts to choose from. Also, Bova’s is open 24 hours a day, 7 days a week. So, if you are in need of a late-night snack at 2am, head on over to Bova’s. You’d be surprised how busy it is into the wee hours of the night! Panza is time and time again one of my favorite dinner spots. 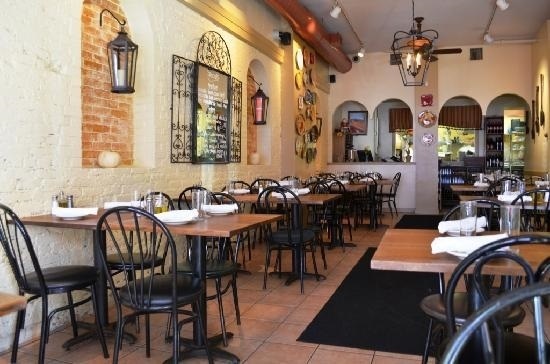 The food is wonderful, the prices are significantly cheaper than most North End restaurants, the portions are large, and they take reservations. A quadruple whammy! It’s not as fancy as other North End spots but I think the casual vibe lends to a much more authentic experience. This tiny, charming little restaurant right in the heart of the North End is perfect for date night. The atmosphere of this café-esque restaurant makes you forget you are in Boston. The dishes are quite progressive and plated beautifully. I recommend sitting at the bar by the open windows and watching the chaos ensue across the street at Mike’s Pastry— it’s fantastic people watching. The North End Fish Market is great if you are looking to grab some sushi to-go. The sushi is prepared right before your eyes and is very reasonably priced. On a beautiful day I enjoy grabbing a couple rolls for lunch and soaking up the sun just down the street on the Greenway. If seafood is your thing, then I suggest making your way to Mare. 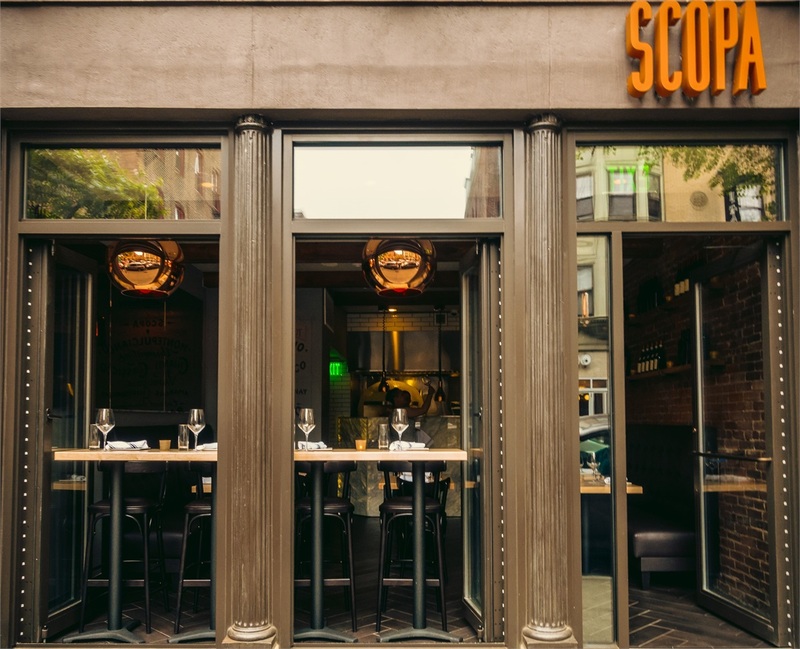 This trendy, indoor/outdoor restaurant located down an alley off Hanover Street boasts wonderful, fresh seafood dishes. The outdoor area has traditional seating as well as couches with glass fireplaces. The couch area is perfect if you are looking to grab a cocktail (or two!) and some appetizers or a half-dozen oysters. 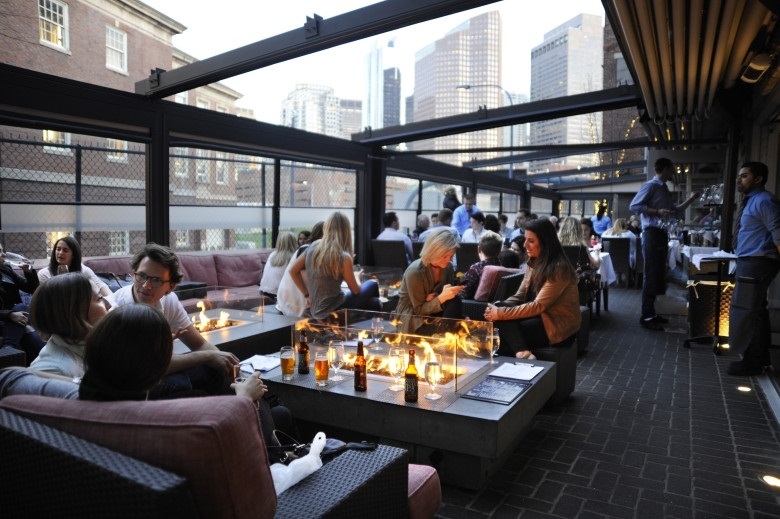 Grabbing dinner on Fiore’s rooftop terrace on a beautiful night is amazing (a fact not too many people know). Even though the terrace doesn’t offer the best view of the city, it’s definitely worth the visit. 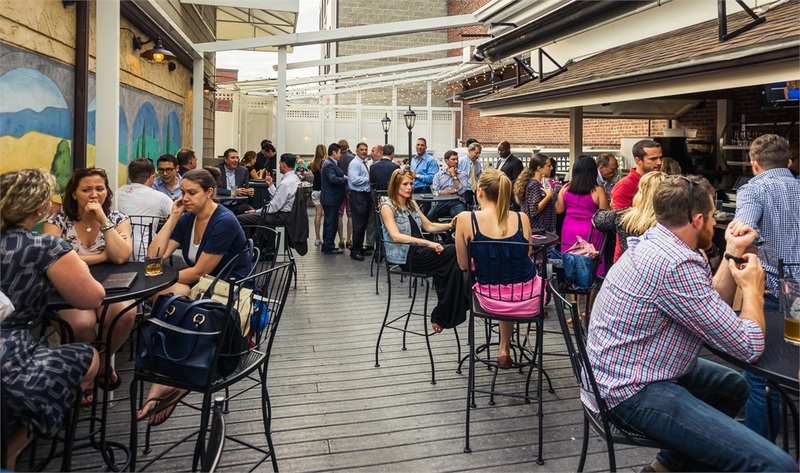 The terrace has a bar on one side and full-service tables on the other. 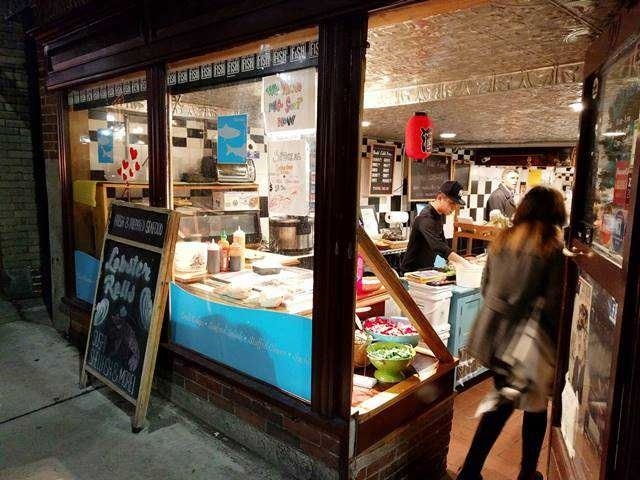 There is definitely not a shortage of pizza restaurants in the North End… After trying nearly all of them, I find myself coming back to Pushcart time and time again to grab a slice on the go. Yes, there are places that are more well known, but to be honest, I think those places are a 6 or 7 (at best). 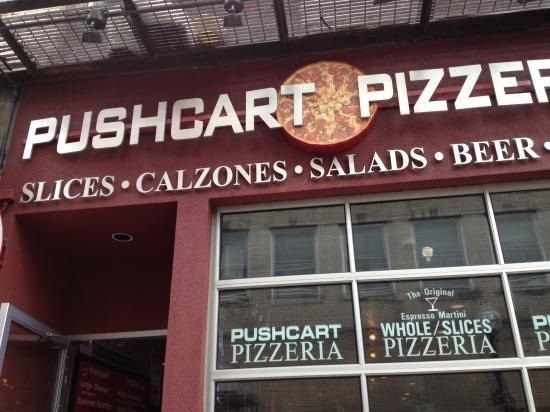 Pushcart’s pizza has been consistently delicious and the service has always been great. If you are looking for a dine-in pizza experience and want to avoid the lines at other places, check out Locale. 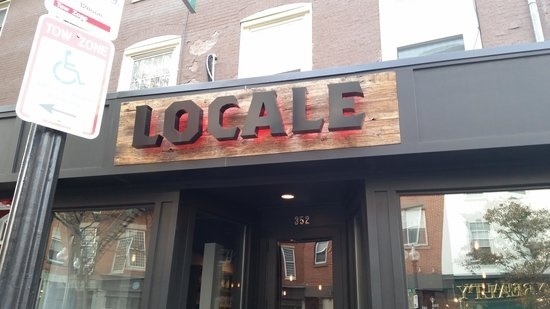 Many places in the North End feel very touristy, but at Locale, this is not the case. The pizza is simple, yet yummy. The service is quick, efficient and friendly. The atmosphere is delightful. 10s across the board! Hands-down the best brunch place in the North End. The line to get in can get quite long and they don’t take reservations, but I find it worth the wait. The menu is creative and has plenty of traditional breakfast options as well as burgers, sandwiches and salads. The historic North End of Boston, although very touristy at times, is home to many hidden gems—the above suggestions are just a few. Next time you find yourself walking the cobblestone streets between layers and layers of old brick buildings, try and venture to some of the less known areas and restaurants. I’ve found that this is where some of the most interesting meals and experiences happen. Best of luck!